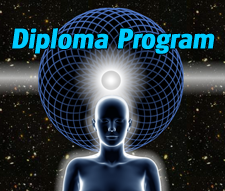 Get a great working knowledge of this subject area with this affordable Diploma Program. This program provides five of the best courses we offer on this topic and will add to your overall knowledge of the subject and more. We've bundled the five courses listed below onto a single course page that gives you instant access to each course. While this is not a degree program, it does provide a diploma (certificate) at a reduced tuition rate that you can proudly display. Diplomas are issued in digital PDF format which can be printed on nice paper/card stock on your own printer or at an office supply store. Save $25 Includes all five courses listed above. You will be enrolled in all of your required courses immediately after your enrollment is processed (usually just a few hours). Total Tuition: $575 Pay $75 for your first course during the enrollment process, then pay for each course individually as you go. Remaining courses are $125 each. You will be enrolled in your first course immediately after your enrollment is processed (usually just a few hours).